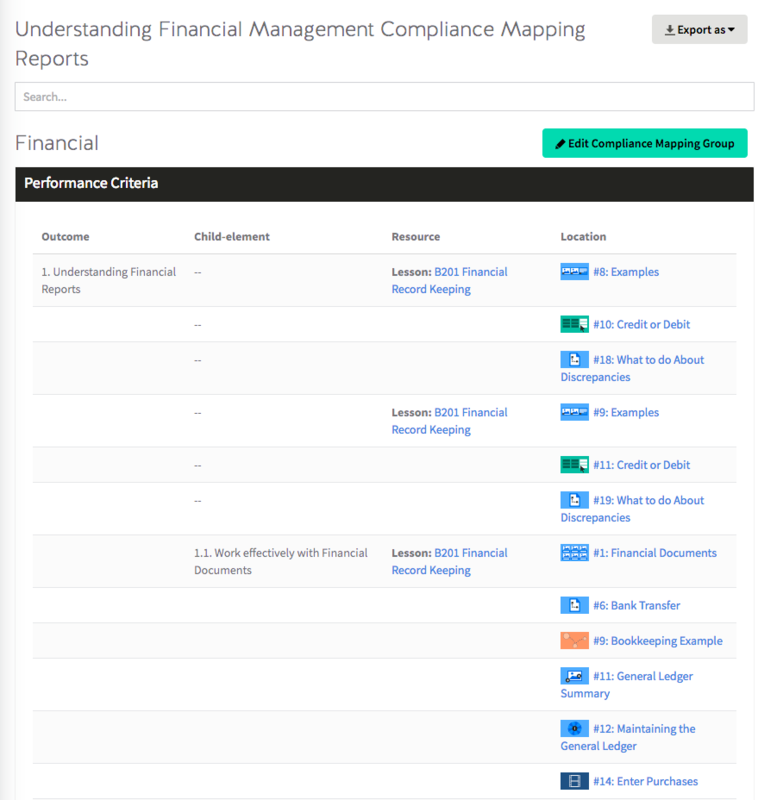 What are the Compliance Mapping Reports and How do They Work? To get to the Compliance Mapping Reports Reports click on the Analyse button on your Dashboard. 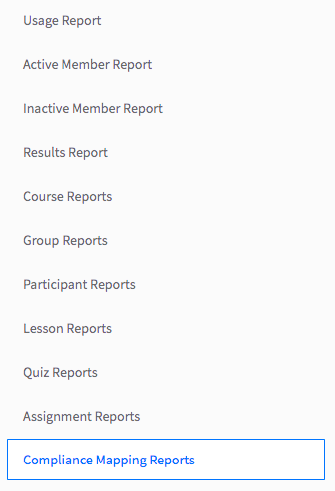 The Learning Outcome Reports screen displays your Courses. Click on an individual Course name to see which learning outcomes that Course fulfils. This is a helpful feature for mapping and tracking your learning outcomes.